Quite often the person responsible for adding content to the website isn’t the person who writes it, and often the content is passed across in Word Documents. Copying content directly from Microsoft Word into WordPress can cause several issues, it can override your websites styles and cause character encoding issues. 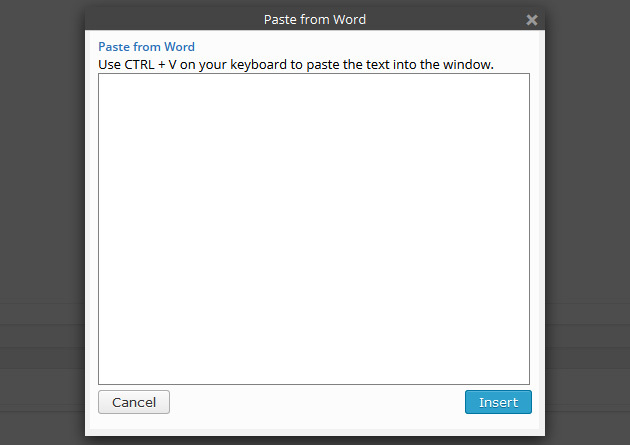 To keep your content clean WordPress has a handy ‘Paste from Word’ option. If you can’t see the ‘Paste from Word’ icon then you will need to press the ‘Kitchen Sink’ icon which shows all of the available tools. 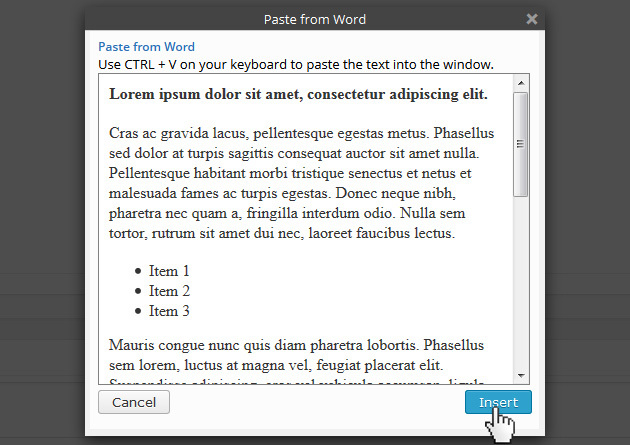 Once you press the ‘Paste from Word’ icon a popup will appear in which you copy your content. Now just copy and paste your content from Word into the box, and when you press insert WordPress will automatically clean your content and add it into the editor.